Monte Carlo Daily Photo is taking a break after publishing daily for over 6 years. Menton Daily Photo will continue, so do please visit me there where I may well publish the odd Monaco photo taken when I visit friends in Monte Carlo. I want to thank everyone so very much for being so faithful to this blog - for your encouragement and comments. Currently there are 10,000 people a month who look at Monte Carlo Daily Photo, of which 5,000 are what Google refer to as 'unique visitors' so I'm aware that I'm saying a temporary goodbye to a lot of people. But I will be back one day. I simply need to concentrate my creative energies on my book. A pity for us, good for you! I wish you much luck and inspiration for you book! How exciting! And you do it the Arnold Schwarzenegger way: "I'll be back!" What a pity to hear your news,but then again,I'll be waiting eagerly to look your come back in Monaco Daily Photo Blog! Best of luck in your new program! Well six years is a long time and you have another blog, so I don't loose you. Lots of succes with your book, you make beautiful photos. I visit the site every day, so it's a little disappointing this news. On the other hand good to know you'll be back. Wonderful sendoff photo today - awesome light control and framing. Sad to hear of the pause in MCDP! Looking at it every day for fond memories and the latest changes en principaute, I will miss it! Hope you can resume it soon! In the meantime, maybe you could invite MCDP viewers to send you Monaco photos to post? Old or new photos, to keep the page going? Thankyou so much for your kind comments. I'll be back one day. 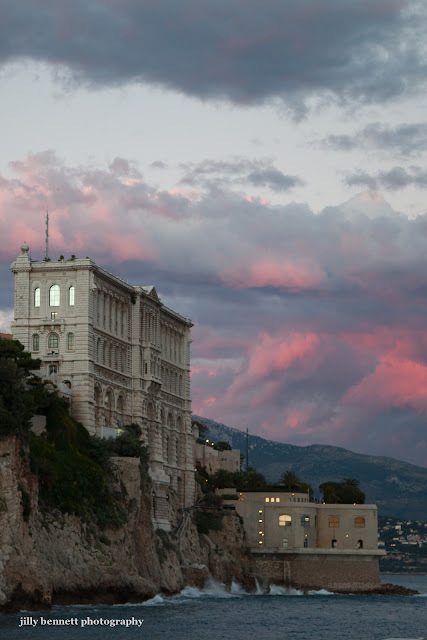 In fact, when I go into Monaco to visit friends, doubtless I'll snap a few pics. Diane, unfortunately your idea wouldn't work for me. It would take as long to post someone else's photo as mine and it's time and energy I'm trying to save. Someone else suggested I repost some old pics - ie ones I've posted before - but the same thing applies - it's a complete re-post. There are, of course, over 6 years of daily photos on the blog so anyone can browse. I'll miss your daily insight into life in Monaco, but understand your need to write your book. Is it going to a best shots of Monte Carlo compendium? I would be remiss if I did not join in the chorus of those who've developed a daily habit and will now be deprived of it; but I both understand and support you in your wish to turn the page. That's what life's all about. Well I'm thankful that I'm able to discover your blog and witness your amazing photos. Best of luck to your book, I look forward to that compilation of your work of art. au revoir! How exciting that you are working on a book! I will miss Monte Carlo Daily Photo, but congratulations on your new adventure! I'm very sad since I visited Monte Carlo once you kept me in touch. Lots of luck.